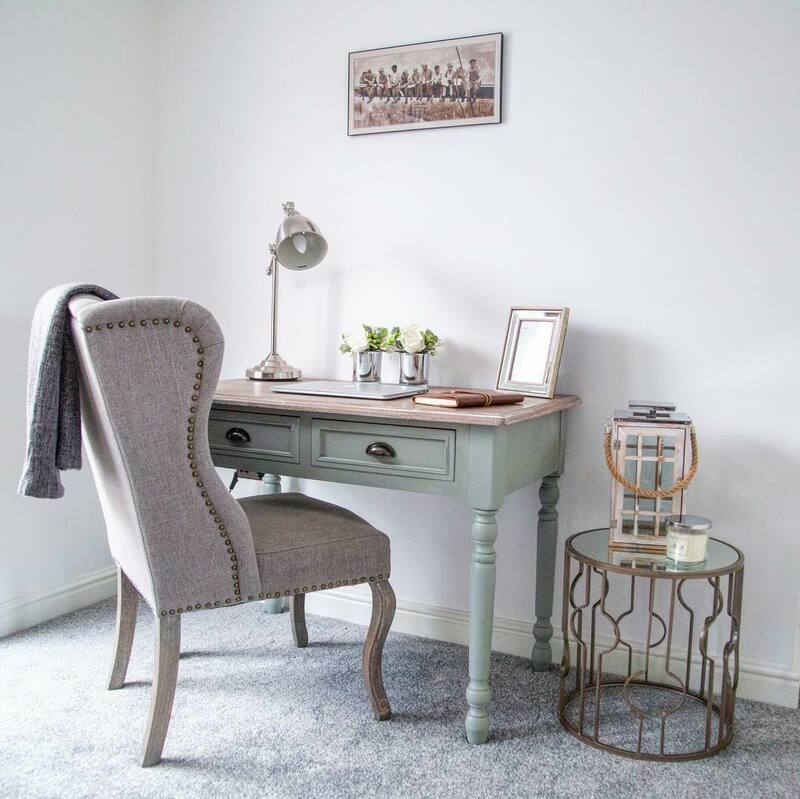 Instagram user @inside_kingfisher (AKA Jas) has been documenting her interior decorating journey! 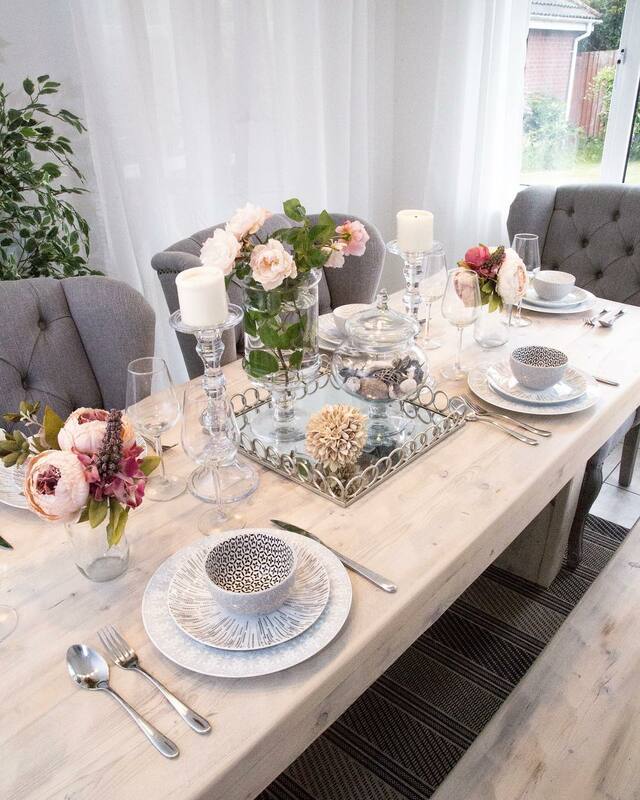 Her West Midlands home is looking amazing, we love how she has made use of our ‘St Emilion‘ upholstered chairs. Jas’s open plan kitchen/dining area is clean and simple, with tons of rustic charm! 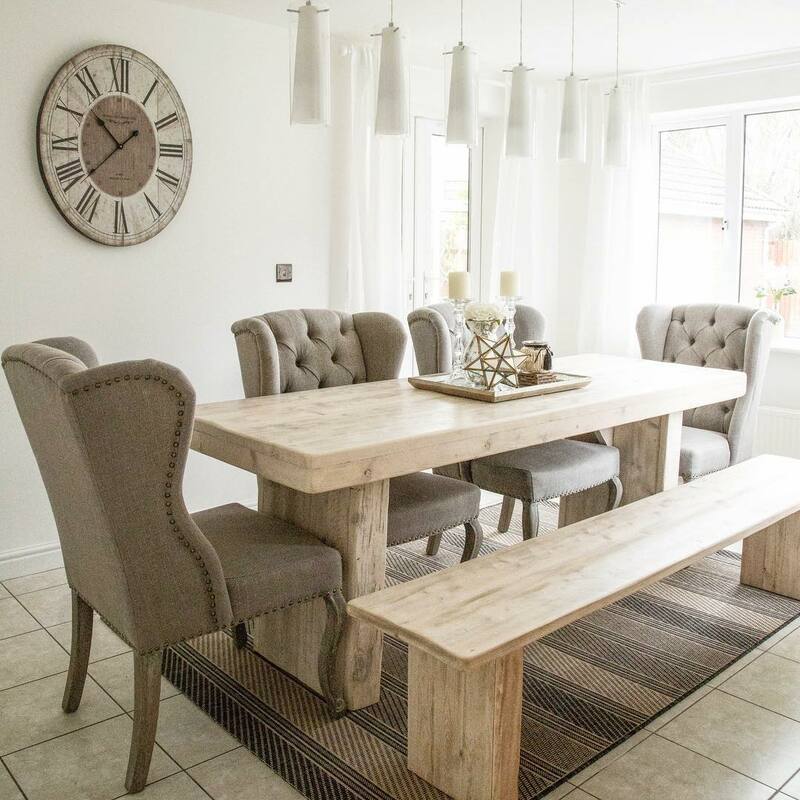 The French style upholstered chairs perfectly compliment the neutral tones and natural wood, with the limed finish on the legs adding to the classic country vibe. 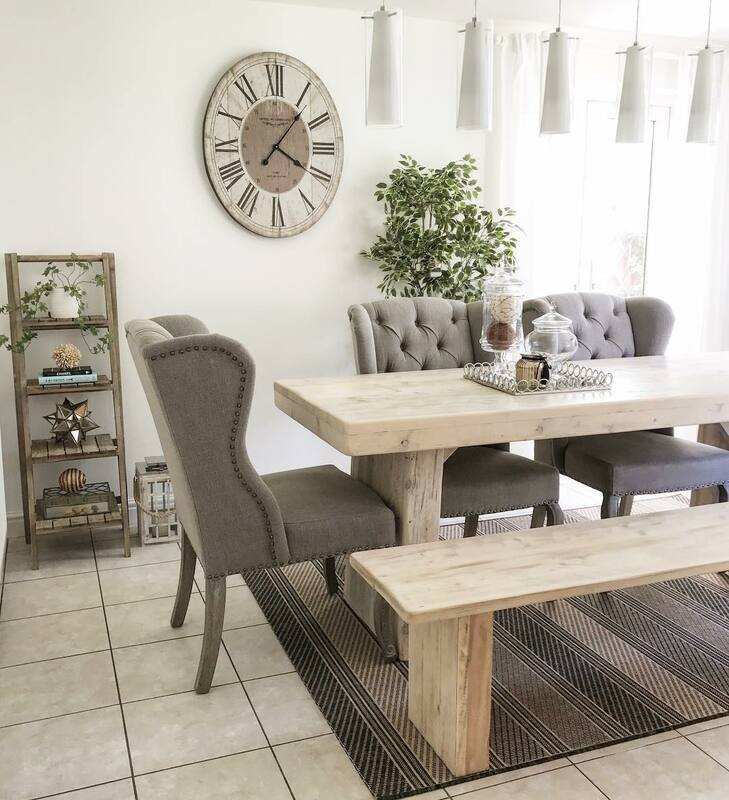 For a similar style to what Jas has achieved here, you could try our distressed limed elm table and matching bench. We also have conical pendant lights similar to what are pictured here, which offer a slightly more industrial look. You could even try our giant vintage style clock face for a striking focal point. But she doesn’t stop there! Our St Emilion chairs work well as dining chairs, and as Jas proves, they make gorgeous desk chairs too. Her minimalist work space is industrial yet elegant. We think that the chair would also look great at a dressing table with a glamorous mirror. Let us know what you think about this stunning home, or how you would use these chairs! To see more of Jas’s home, follow @inside_kingfisher on Instagram.